If the ocean has yet to divulge all its mysteries, a particular observation tool certainly promises to help us crack some of them. The biogeochemical profiling float is a class of submersible robot whose sensors can pick up biological and chemical data in the world’s coldest and roughest waters—year round. 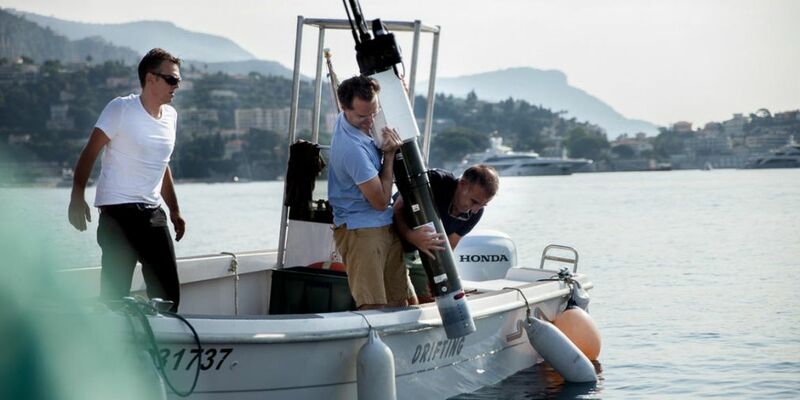 This technological prowess has spurred oceanographers, notably from the Laboratory of Oceanography at Villefranche-sur-mer to shed light on the North Atlantic conditions that trigger phytoplankton population growth in winter, as well as promoting the blooms when these microscopic marine algae rapidly multiply. Their results, presented in two recent publications (1) not only confirm some existing hypotheses, but also yield a few surprises. (1) Léo Lacour et al.,"Unexpected winter phytoplankton blooms in the North Atlantic Subpolar Gyre," Nature Geoscience, 2017. doi:10.1038/NGEO3035. Alexandre Mignot et al., "Floats with bio-optical sensors reveal what processes trigger the North Atlantic bloom," Nature Communications. In press.